Directions to Wings Event Center can be found here. 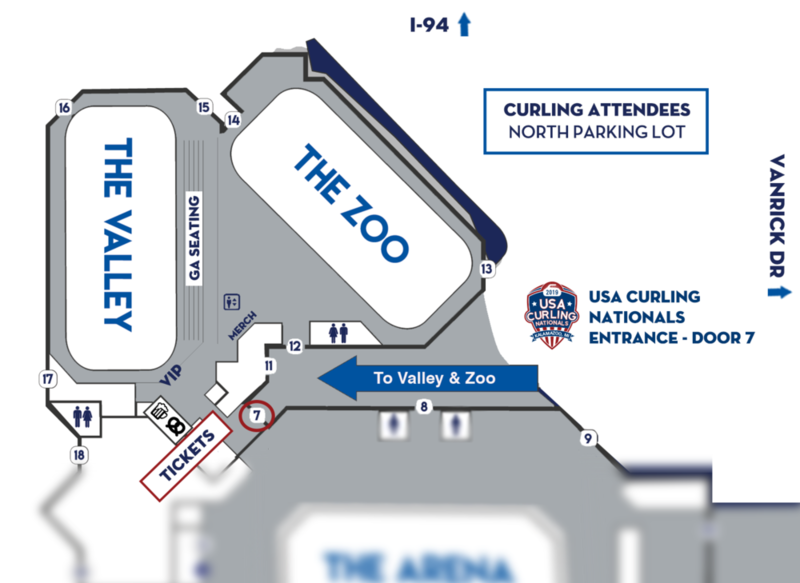 Curling attendees are to park in the NORTH PARKING LOT, accessible via Vanrick Dr and closest to I-94. Parking is complimentary for curling event-goers. Doors open 1 hour prior to the first draw of the day. Reentry is permitted throughout the day with a stamp and purchased ticket to that day of the tournament. Have questions? Let us know! Contact us.